Cement masons pour and finish concrete surfaces, which include rodding, edging and joining. They finish street work, foundations and walls by forming, setting screeds, sawing joints, rubbing and patching. Plasterers’ work involves wall preparation and finishing, acoustical plastering, texture finishing, plaster veneers and coatings. Physically demanding work involving stooping, lifting, and standing for long periods of time, indoors and outdoors. Manual dexterity is important. For over 150 years the OPCMIA has represented and trained plasterers and cement masons for the purpose of protecting and promoting the quality of our industry and the livelihood of our members. Plaster and concrete are ageless building materials that will not fall out of favor as long as there is a sufficient amount of workers who are skilled in the arts of installation and finishing. These materials are as unforgiving as they are durable and beautiful. Skilled hands and competent management must work together to achieve the desired result and to promote and protect this vital construction resource. We dedicate ourselves to the promotion of these materials, the recruitment and training of skilled craftsmen to meet the demand of our industry, and hold ourselves responsible to this commitment for the future of our industry and the welfare of all those who earn their living in it. The OPCMIA represents workers in two major segments of the construction industry, Plaster and Concrete. 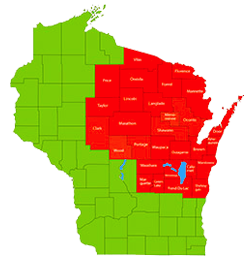 Both segments have multiple specialties fields and niche markets which are essential to maintaining the variety and quality of construction projects throughout North America. The following are examples of the various products and skill sets utilized by our journeymen and apprentice members. The Operative Plasterers' and Cement Masons' International Association (OPCMIA) of the United States and Canada is a labor union that represents plasterers and cement masons in the construction industry in North America. 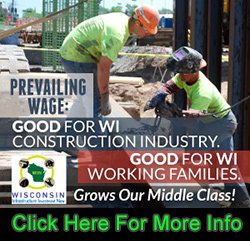 As the oldest Building and Construction Trades Union in the United States, the organization traces its roots back to 1864, during the American Civil War, when an organization known variously as the National Plasterer's Union or the National Plasterers Organization began to unify the various local craft unions that represented workers in the trade. The new union endorsed the Eight hour day movement while pledging to avoid "unnecessary strikes" and instituted apprentice training and regulations. The union amended its constitution in 1887 to include Canadian workers. 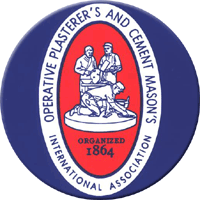 Reflecting the fact that its members did more than finish cement, the union changed its name in 1951 to the Operative Plasterers' and Cement Masons' International Association. Today, the OPCMIA continues to live by the principles upon which it was founded and which will continue to be its strength in the future. As it has been for over a century, the OPCMIA continues to be proud, strong and united.